North Carolina A&T’s day wasn’t totally pretty but it remains perfect after a battle with rival South Carolina State. South Carolina State held North Carolina A&T to its lowest point total of the season so far, but it still wasn’t enough to put a blemish on its rival’s record. Nationally-ranked A&T left Orangeburg, SC with a 21-7 win to improve to 5-0. 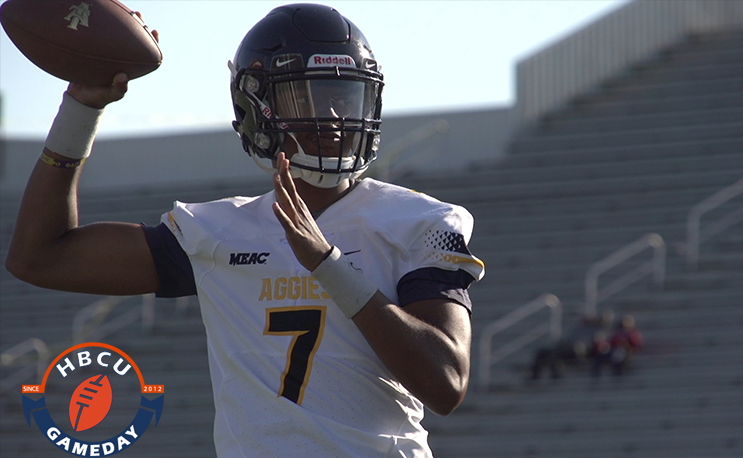 A&T quarterback Lamar Raynard cooled off slightly from his blazing start to the season, completing 18 of 31 passes for 298 yards and two touchdowns, while throwing his first interception of the year. A whopping 71 of those yards came on one play as Raynard connected with Xavier Griffin for the Aggies final touchdown score, giving them an 18-0 lead in the game, which was plenty as SCSU struggled to put points up on the board. But that didn’t stop the Bulldogs’ fans from having a good time. Marquell Cartwright led A&T with 94 yards rushing as the guy who he inherited his job from looked on.